Is it a bird? Is it a plane? No, it's BeyDays, and it's soaring into regions near you! With last year's double weekend being so popular, we're back again for more! BeyDays will again be active across two weekends, so you have no excuses for being too busy to attend an event! We're doing it for you guys! As with last year, each region may only organise BeyDays events during one of the two weekends. Events held on the other weekend will not be counted towards any of our BeyDays festivities! Sorry! But which regions are running BeyDays events? Well, feast your eyes on this selection! As always, participants at any of these BeyDays events will grab you a shiny new Bit of Days VIII! Oooo! If you're in the area and free to join one of these events, be sure to hit the "Join Tournament" button on that tournament's thread! BeyDays events are always a blast, so don't pass up this opportunity! Extra Prize Reimbursement for Raffles! That's right, we're doubling the prize reimbursement for BeyDays events! As part of this promotion, we expect Organisers to use some of this to run a BeyRaffle at their events, with one random participant winning the prize chosen by the Organiser! This only applies to one event in each region, so make sure you're making the most of this! Get that raffle going! You all gave your opinions, and we wholeheartedly agree. As of today, Deathscyther & Dark Deathscyther are now banned in WBO Competitive Play! This was long overdue, but we feel this is the best choice to return to a healthy metagame. Alongside this, we've also taken the opportunity to clarify a number of rules in both our Organiser's Guide and our format-specific rulebooks, including more information of foreign substances, regulations on launcher checking and more! Hop on over to Kei's update post for more information on all of these new rulings! Organisers, make sure you're aware of these changes as they'll be effective as of Monday 15th May! 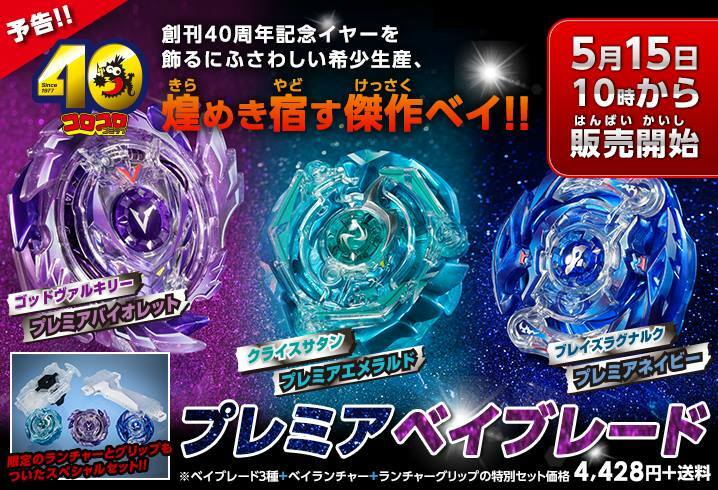 Instagram Campaign: Beyblade in Action! Following the success of our previous Instagram campaigns, we're back again with another one: Beyblade in Action! It's simple! 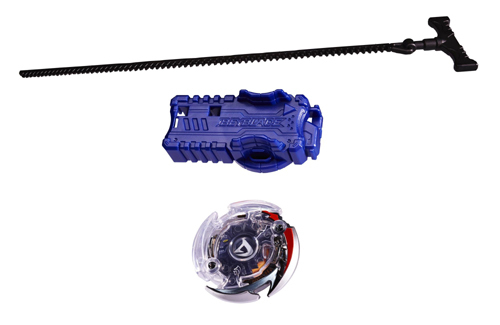 Until June 4th, post a picture of a Beyblade in action to your Instagram account! It could be a perspective shot of an intense battle, or even a mid-air shot of a Beyblade in motion! As long as it's in action, use your imagination and go for it! Only one entry per person. Your first entry will be the only one we'll accept, but think carefully before your submit your entry! One lucky winner will get their hands on a Thief Phoenix E230GCF, courtesy of ashton pinto! What a guy! And to sweeten the deal even more, why not have a Bit Booster with that! Good luck to all Bladers! We're looking forward to seeing what action-packed entries you'll submit! It wouldn't be BeyDays without a BeyLotto after all! On top of that, a participation in the aformentioned "Beyblade in Action!" campaign will grant you one entry in the BeyLotto as well! No matter where you are, you can have a shot at the prizes! And 10 lucky winners will also earn themselves some awesome physical prizes! 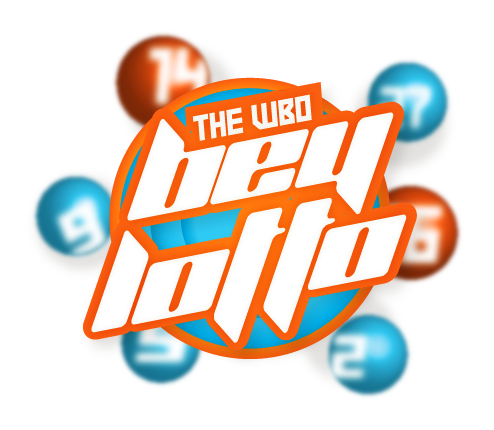 On top of that, this year once again, if you film scenes at the BeyDays tournament you attend and put the footage together for the BeyChannel, you'll get an extra entry in the BeyLotto! Show us the fierce competition in your community! Ye!!! Yes!! dF!!!! It going to be awesome this time. But wait a sec, why India isn't there? I guess it's time to bring THE BeyDay FIRESTORM II to Mumbai!!!! So here's some thoughts of my on other news! 2. About Wavied Entry for emerging areas. Sahil Pruthi, Ninja Blader and Blader ZX. It's your time to BRING HE FIRESTORM to Delhi!!! 3. It's awesome to see Ashton's Phoenix spreading his wings to fly to world for BeyDay! 4. About Doubling Reimbursement Limit. THATS a crazy Beymazing thing you did WBO! I'm sure we can squeeze lots of Beymazing things for top 3 . 9. Cool. My first BeyChannel video coming! 10909999. Here I come Darkness Driger!!! (May. 14, 2017 1:18 AM)FIREFIRE CPB Wrote: Ye!!! Yes!! dF!!!! It going to be awesome this time. But wait a sec, why India isn't there? I guess it's time to bring THE BeyDay FIRESTORM II to Mumbai!!!! 2. About Wavied Entry for emerging areas. @[Sahil Pruthi], @[Ninja Blader] and @[Blader ZX]. It's your time to BRING HE FIRESTORM to Delhi!!! Of course, as countries add events, we'll add them to this list, and also the flags to the BeyDays logo as well! Doubling the reimbursement amount is definitely generous, though I'd like to point out that we do mention a raffle there. We do expect part of this reimbursement amount to go towards a raffle prize for a random participant, haha. Other than that, make you're making the most of this opportunity! If we organise a club tournament then would we be able to enter? (May. 14, 2017 2:27 AM)Ninja Blader Wrote: If we organise a club tournament then would we be able to enter? Yes, Club Events will indeed count towards the BeyLotto, but only for one of the 30 Bit Boosters. There are other methods available to earn full entries though, such as the "Beyblade in Action!" campaign! If I go to a WBBA event on BeyDays, can I have the BeyDays face? Also June 3rd is a Saturday, not a Sunday. (May. 14, 2017 5:40 AM)Wizard Wrote: Also June 3rd is a Saturday, not a Sunday. And if we shoot a video of that tournament would the points count? (May. 14, 2017 2:59 AM)~Mana~ Wrote: Yes, Club Events will indeed count towards the BeyLotto, but only for one of the 30 Bit Boosters. There are other methods available to earn full entries though, such as the "Beyblade in Action!" campaign! I can't understand what you mean to say. (May. 14, 2017 10:14 AM)Ninja Blader Wrote: I can't understand what you mean to say. I think you're picking on the details a little bit here. Obviously, we've agreed on D2 hugely, but there were honest concerns regarding D that we honestly agree with as well. Even amongst the committee, some of us honestly weren't sold on banning D either, but we're giving it a try. Right now, we feel it's in the best interests of the community to explore a metagame without either included. It'll be a fresh experience for a lot of people and it'll give us insight into the differences the lack of those Layers make. Naturally, we're already fully prepared to unban D next month if we feel it should no longer necessary but, in the short term, we're giving it a try. We don't expect everyone to be happy with this decision. There were some very mixed opinions but, for the reasons mentioned above, we're giving it a try to find a place for Deathscyther once and for all. (May. 14, 2017 9:52 AM)Ninja Blader Wrote: And if we shoot a video of that tournament would the points count? Yes, footage submission will count as a full entry. HAHA! Eat dirt Deathscyther and Deathscyther 2. Gaze upon your ultimate defeat; mourn the collapse of your tyrannical reign; hear the resounding cry of justice; RAISE YOUR EYES HEAVENWARD AND BEHOLD THE INEFFABLE GLORY OF FREEDOM!!! Quick Question. In case if I host a event on June 5th, would it be eligible for Unlimited Credit and BeyLotto Entry for New Bladers (who didn't came at last). Also by Beyblade In Action, it means I have to make video or GIF or have to take photo of moving beys like MJ9 did. There is gonna be someday, a tournament on portugal (or madeira island)? (May. 17, 2017 5:56 AM)FIREFIRE CPB Wrote: Quick Question. In case if I host a event on June 5th, would it be eligible for Unlimited Credit and BeyLotto Entry for New Bladers (who didn't came at last). No, June 5th is beyond the end date for the campaign. Beyblade in Action entry must be a photo, as stated in the OP. My entry. Was thinking of something better than that but couldn't shoot it cause of not having a good quality camera. Happy Beydays 2017! I should be there at the next tournament in Mumbai.